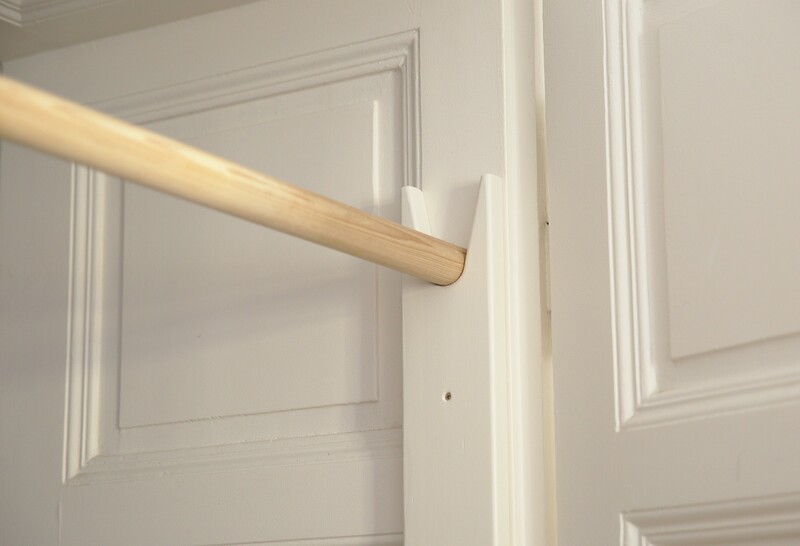 Are you tired of moving and squeaky door frame pullup bars? 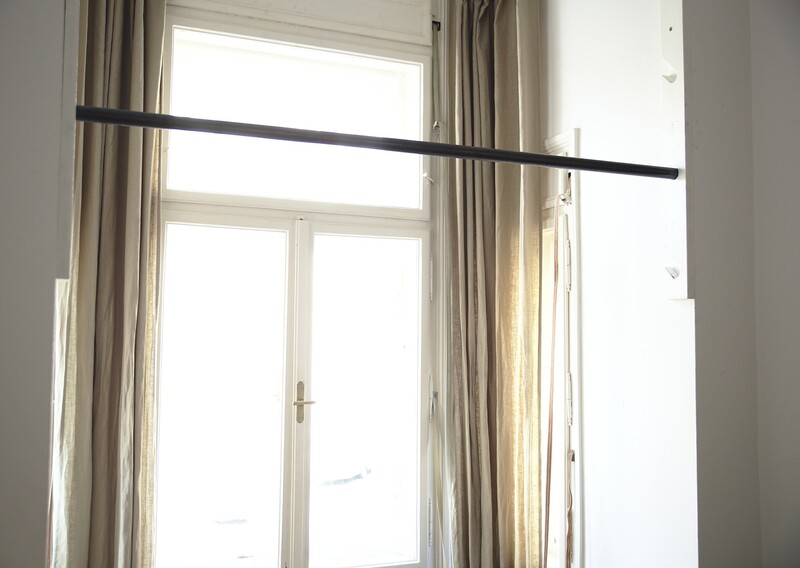 Here is my DIY recipe for building solid, variable & removable pullup bars. Instead of pressuring the door frame by an expanding pullup bar or attaching all of the weight to the frame itself I always build pillars out of small wooden boards. At the bottom I usually make a cutaway for the plinth. This way most of the load is transfered to the ground. Start by drilling out holes with the diameter of the pullup bar at the desired height. 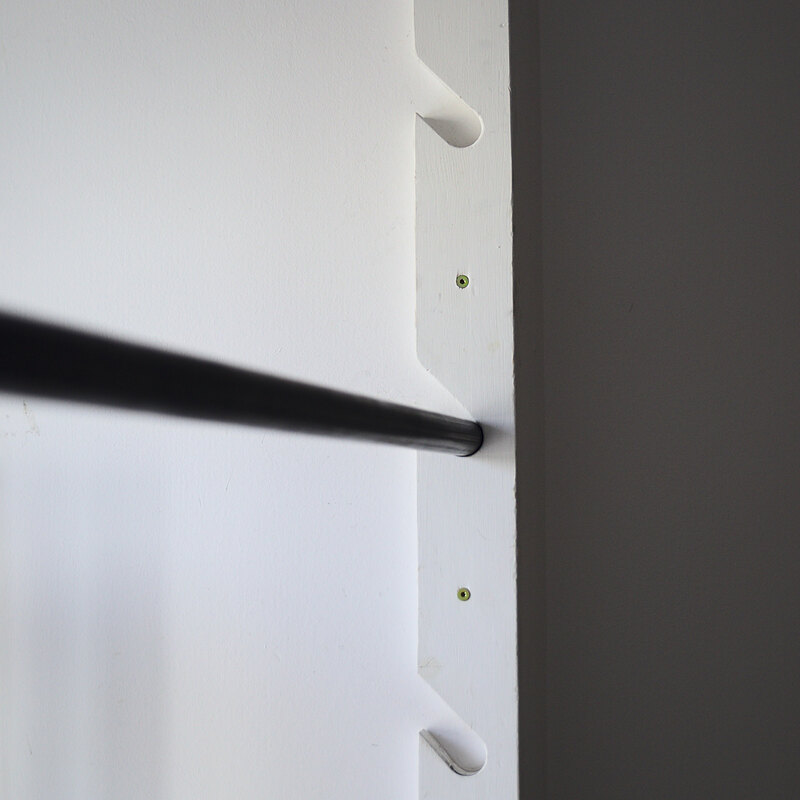 If you make various holes, you can move the bar around if someone smaller or bigger wants to train with you or if you want to mount multiple bars. 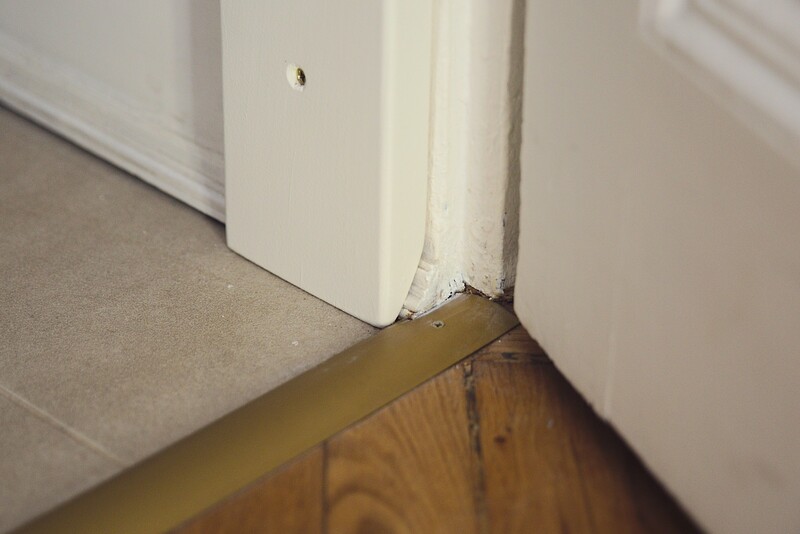 When you are done with the drilling connect the holes to one side at an angle of around 45 degrees with a jigsaw or whatever you have at hand. If your hole is at the top your cutaway can also face upwards. In most of my cases I had wooden frames so I only had to screw the pillars into the frame to hold them in place after I finished painting them. In picture one I made a bar for this oriel and simply screwed the board into the wall with screw anchors. This is cool! Excellent idea! Hi, I really like your wooden bar. Which wood and diameter would you recommend for a bar of 1,2m length? For 1,2 m length I would recommend a metal one with a diameter of 35 mm and a wall thickness of 3 mm to be on the safe side. I personally would use ash wood only in tighter doorframes. All the best for your pullup bar DIY project.